Offering you a complete choice of products which include cryogenic vessels, cryo vessels and cryo storage vessel. 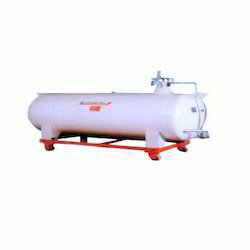 Offered in various specifications in terms of capacities, we have introduced Cryogenic Vessel, suited for storage and distribution of gases like liquid nitrogen & argon. Offered vessels have gained huge market acceptance and are used prominently to cater to the diversified needs of several industrial, research and biological applications such as cryosurgery, shrink fitting, high vacuum systems and environmental test chambers. For our esteemed customers, we have introduced Cryo Vessels, made using advanced technology at our world-class infrastructure. These vessels are designed in order to offer convenience and ease while conducting storage & distribution of cryogenic gases like liquid nitrogen as well as argon. Customers can purchase these vessels and make their usage in form of important accessory required in several industrial, research and biological applications. Pressure budding regulator for automatic pressure regulation at preset level. Dual pressure relief valves / burst disc fitted for extra protection. Easy to use dip stick for level indication available upto 500 litre capacity. Differential pressure gauge for level indication available for 950 litre capacity. For other capacities available on request. Designed to suit Indian road conditions. For Oxygen service, containers available on request. 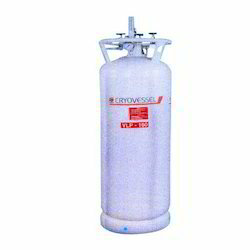 Owing to our expertise, we are trading and supplying an extensive array of Cryo Storage Vessel. This is manufactured using optimum quality raw material and latest techniques in accordance with the international standards at vendors’ end. The offered range is highly treasured by clients due to its durability, long life and low maintenance. Apart from this, the offered range is tested on various parameters by our quality controllers in order to ensure zero defects. Also, this vessel is available in customized options and can be availed by clients at the most reasonable prices. 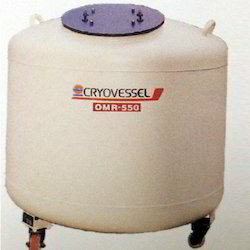 Looking for Cryo Vessels ?